Central Recovery Press, 9781942094715, 264pp. 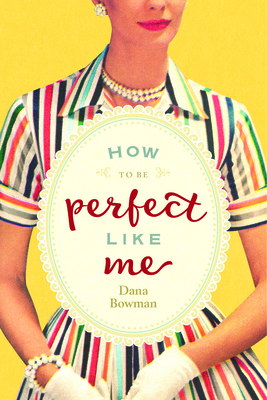 Dana Bowman can't escape the lure of perfectionism--like so many people today--trying to be a flawless wife, mother, and person in recovery. When Dana experiences a short-lived relapse during the Christmas holiday, she has the startling realization that recovery is not only about the alcohol. In this funny and revealing follow-up to Bottled, Dana reflects on how we live in a society of excess, always pushing ourselves to do it all. However, it doesn't take her long to realize that self-care and getting over herself is the key to happiness. Dana Bowman has a master's degree in secondary education and is an adjunct professor at the department of English at Bethany College, Kansas. Author of the popular mombsieblog.com, she leads and presents workshops on both writing and addiction, with a special emphasis on being a woman in recovery and a parent. Her first book, Bottled, was selected as a 2016 Kansas Notable Book. Dana Bowman currently resides in Lindsborg, Kansas.